In 1970 Eugene Fama, an American economist, formulated his Efficient Market Hypothesis. Simply put, this suggests that at any given time, prices fully reflect all available information on a particular market. As the title suggests, this is a theory and not an exact science that applies to our industry as a whole. Since entering the industry two years ago, I have been staggered by the volume of work involved in the job of managing a scheme – it never seems to end. The managing agents are expected – not necessarily mandated – to answer to and deal with trustees/directors, owners, contractors and estate agents about issues regarding maintenance, finance and secretarial issues as well as, owner-to-owner related issues and more. It is a mammoth task for portfolio managers to merely get to all their emails every day, not to mention the phone ringing constantly. I noticed in my first month of work that we, like all others in the industry as far as I know, quote for our monthly services based on the number of units in the scheme. My question is: How can that possibly be an accurate assessment of cost when the actual management of a Scheme has so many dimensions to it, not simply the number of units? This method of quoting neglects the quality and expertise of trustees/directors – or the lack thereof, the age of the building, the upkeep of the structures and how this has been managed in the past. Furthermore, it doesn’t take account of the level of education and experience of the managing agent who will be conducting the scheme’s affairs. To tie this observation up with Mr. Fama’s theory, in my opinion there is glaring price inefficiency in the setting of managing agent’s fees. Insufficient information is taken into account in order to create a market where the clients feel they get what they pay for. As a result managing agents are constantly working beyond their mandate in order to retain business. In my view this has created an incestuous market place where individual agents and individual clients are moving between service providers. Often where one company gains a client/employee from a competitor, they lose a client/employee to the same competitor. This purely “fee based” competition has manifested a market where no one seems to win, especially not the clients. In conclusion, this industry is desperate for greater regulation and governance to compensate for the lack of information used by both parties to set fees. Specific barriers to entry and CPD (Continual Professional Development) criteria should be set for managing agents. Suggested cost structures should be more transparent with greater consideration paid to all available information. Managing agents should be held to a higher standard and the schemes should be willing to pay more for this, and from my experience they will be. This will create a far more efficient market place where your price setters and your price takers are using better and more reliable information to make their decisions and greater accountability and value will be given and taken on both sides. Article reference: Paddocks Press: Volume 09, Issue 10, Page 3. 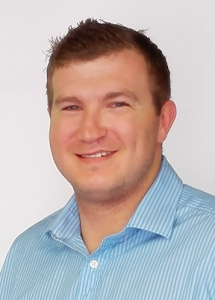 Craig Rowlings is the the senior financial controller at Coastal Property Group.